Arnold, who grew up in Las Vegas, pursued careers in the television and the hotel-casino industries prior to moving to Laguna Beach with her two daughters in 2003. Arnold is married to local attorney, Bradley Arnold, and they live with their two dogs in South Laguna Beach. Arnold, who was instrumental in making many positive changes at the Boys and Girls Club, looks forward to doing the same for the Laguna Beach Chamber of Commerce. 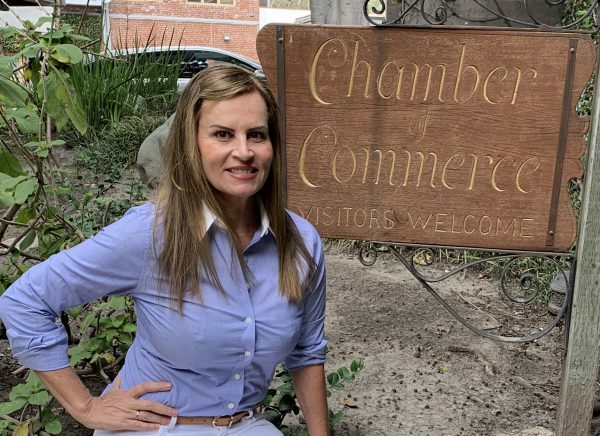 “I’m excited to be taking on the challenge of helping create a synergic relationship between business owners, the City of Laguna and the Chamber” she said.